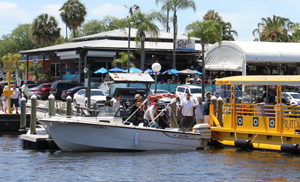 With over 70 Restaurants along the Pirate Water Taxi’s Route, you are sure to find something to satisfy your dining needs. 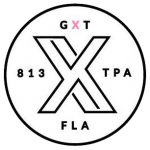 From Tampa’s first celebrity chef’s restaurant to Tampa’s best local offerings you can hop off at any stop and hop on again for more culinary adventures anywhere along the route. Some venues offer water side dining and one offers dining on the water! 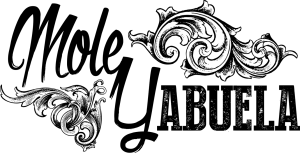 Scroll down to learn more about each venue, its menu and hours. Click below on any logo to learn more about the Restaurants at Stop 2. Enjoy waterfront drinks, tapas and our delicious Spanish/Cuban cuisine at the Columbia Cafe in the Tampa Bay History Center on the Tampa Riverwalk, across from the Amalie Arena. 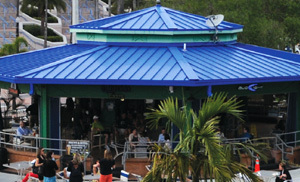 Live music on our waterfront, outdoor patio on Friday and Saturday nights. We offer a full bar, and serve lunch and dinner daily. Café Dufrain is known for its unique style, modern American seasonal cuisine, and diverse wine and craft beer selections. 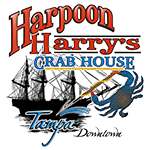 We offer a relaxed and comforting dining room, full contemporary bar and package liquor available all while overlooking downtown Tampa’s scenic views. Cry Baby Cafe is about simple, rustic and fresh foods. Cry Baby Cafe is serving up simple wholesome food daily. Inspired by Florida’s rich ranching history, Inside the cafe you’ll find iconic images from local Bay-area cattle ranches. Cry Baby Cafe is a casual waterfront restaurant where you can hang out with your four-legged friends, catch up with neighbors, meet potential clients or just relax and read the paper. 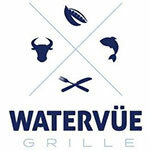 Watervue Grille focuses on fresh Florida seafood in a waterfront setting with the city’s best views of Downtown Tampa. The newly renovated space has been designed to provide an inviting coastal feel, with accordion patio doors and oversized picturesque windows that provide an open and relaxed dining experience. 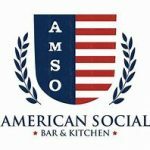 American Social’s largest restaurant has four full-service bars, a raw bar, and an intimate dining room with an indoor and outdoor VIP bar and patio space for private events up to 40. The patriotic property brims with lively nightlife and happy hours where friends come together and good memories are made. From sunrise to sunset until late night, our vantage point overlooking the Tampa Riverwalk, Bayshore Boulevard and beyond is ideal for enjoying the special events, recreational activities and native wildlife that make us an integral part of the city’s pulse. Savor American favorites in our Tampa restaurant’s relaxed setting, perfect for indoor or outdoor dining on a casual breakfast, lunch or dinner. Our waterfront restaurant is accessible from the Tampa Riverwalk and serves regional favorites with a house-smoked twist. Whether you’re in town for a convention, taking a jog along the Riverwalk, or simply looking for a place to kick back and watch the sunset, we’ve got you covered with a lively atmosphere and a menu packed with local favorites. Check HERE for LIVE Music schedule. Inspired by global cuisine, worldwide tradition and local culture, Paired couples distinctive flavors to create unexpected taste sensations. We challenge our guests to break the rules and dine differently. Join us in the lounge for an innovative, exciting and entirely unique dining experience. Hattricks is not only the Best Sports Bar in Tampa but also a favorite restaurant among locals & tourists alike. Hattricks features traditional pub fare along with signature dishes you are sure to love. Hattricks is the #1 spot for all Tampa Lightning Pre-Game parties and special events taking place at Amalie Arena or the Tampa Convention Center. Happy Hour: Everyday 4:00pm to 8:00pm and 10:00pm till Close. Yeoman’s Cask & Lion is about more than a pint to drink and a bite to eat. 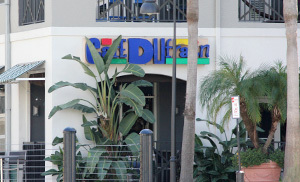 We’re a place where people can relax, socialize, and have fun. Come to one of our events and you’ll see what we mean. In addition to pub and restaurant specials, we also host artists and musicians from the community to serenade your meal. Join us for Tampa Bay’s longest running open mic night every Tuesday starting at 9:30. Bands and musicians have their chance to shine in front of an eager audience. 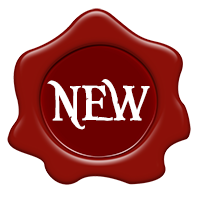 Click below on any logo to learn more about the Restaurants at Stop 12. Mole Y Abuela is dedicated to providing the delectable Spanish-inspired dishes often associated with grandma’s house paired with a welcoming and energetic atmosphere. Using only the freshest, locally-sourced ingredients, our recipes have been celebrated throughout generations. You are always met with warmth and appreciation, in a spirit of hospitality reminiscent of the most memorable family gatherings. We invite you to experience the joy and celebration of Mole Y Abuela. A social drinkery serving up fresh handcrafted cocktails, a premium beer selection and vibrant live music to the Downtown Tampa scene. All paired with irresistible bar bites served up by the Carriage House patio kitchen. Everything you need to make your night one to remember. Enjoy American cuisine and bar favorites with a gourmet twist, made with local ingredients when possible. We are located directly across the street from the Straz Center for the Performing Arts, so stop in before a show for great local eats and great local craft beers. Find us inside the Barrymore Hotel, right along the scenic Tampa Riverwalk. Click below on any logo to learn more about the Restaurants at Stop 16. Amazing Food, Amazing Atmosphere. 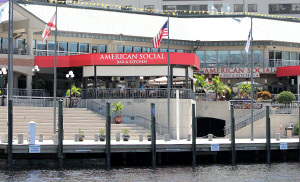 Come check us out right on the Hillsborough River. We have LIVE Music and great food, three bars and an amazing Oyster Bar. The oysters are fresh daily and always satisfy! Ricks on the River is a Bar and Grille with a marina and wet slips as well.